Up with the roosters and the other 2,000 residents of Loma Linda, I began to tire as the sun beat down on my neck and the ash from nearby Santaiguito volcano constricted my breathing. 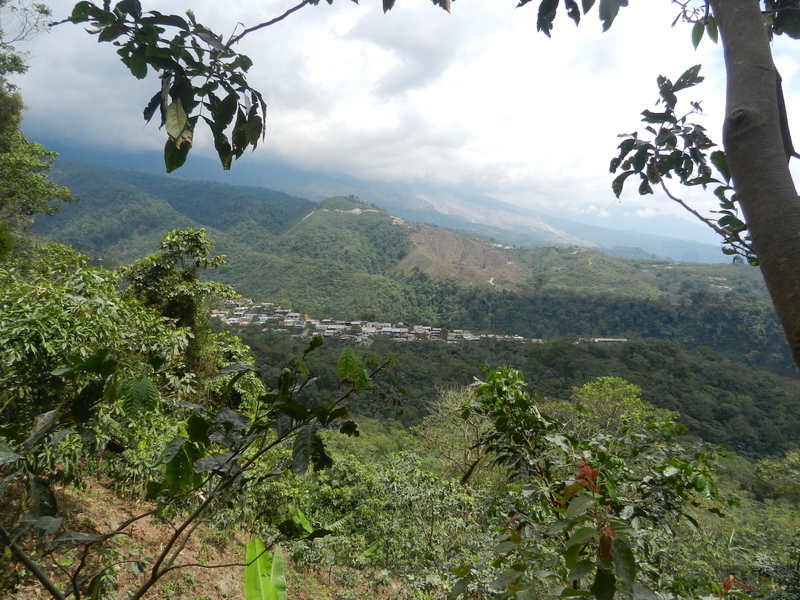 My ears had become inured to the thuds and clangs of our azadónes as we dug into the soft red speckled earth of the Guatemalan highlands. Along with three local ASODILL members and two Dutch volunteers, I was carving out a small piece of the mountain in an effort to develop hiking trails and encourage tourism in the surrounding hills. This trail building project in the small village of Loma Linda is an initiative conceptualized and managed by the Asociación Sostenible para el Desarrollo Integral de Loma Linda (ASODILL), developed with the support of EntreMundo’s Community Tourism Programme. 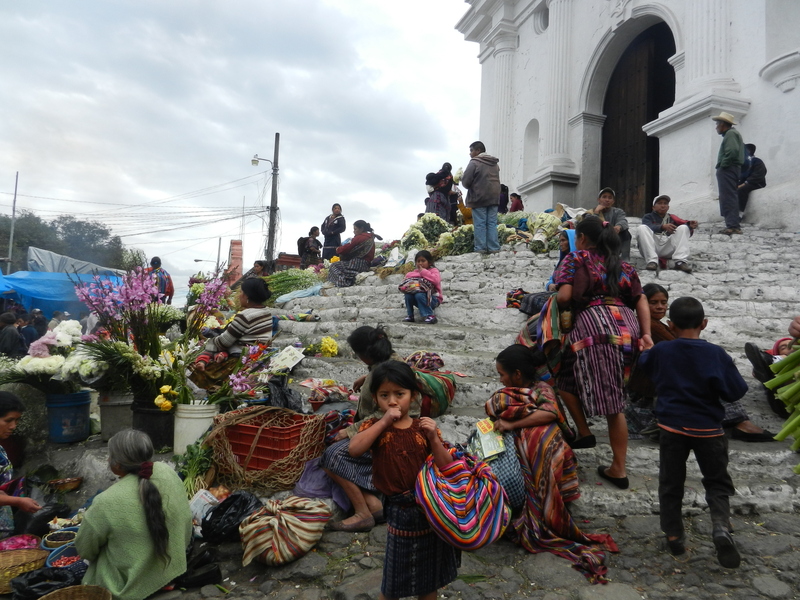 Relationships like these are popping up all over the Guatemalan landscape: small community-based organizations (CBOs) like ASODILL mobilize local interests and resources while larger CBOs like EntreMundos offer necessary networking and training services. This collaboration between small and medium-sized CBOs presents an emerging mechanism in the application of the community-based development model. 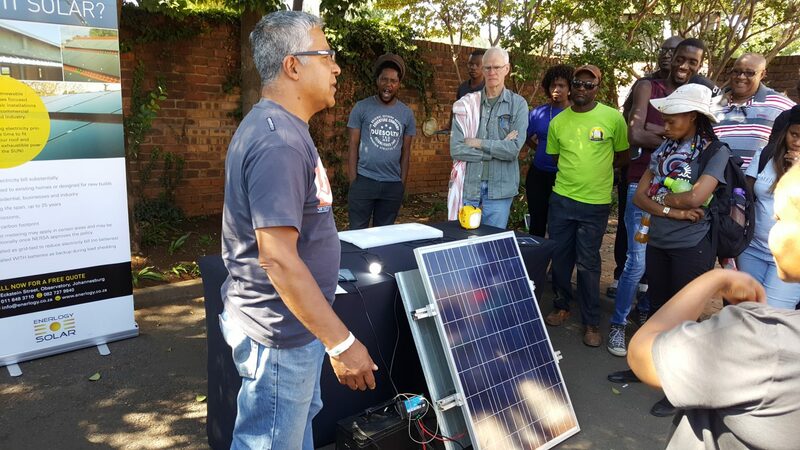 Community-based development (referred to as community-driven development by the World Bank) is built on the premise that the “local knowledge” held by community members is an invaluable resource for development initiatives. 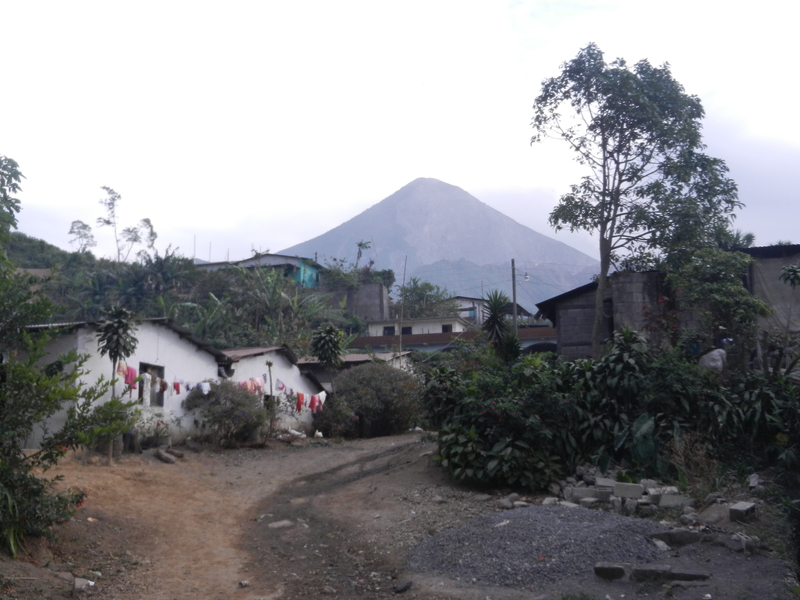 But while networks of community-based development are springing up throughout Guatemala, a lack of financial resources, communication infrastructure and large-scale program evaluation has limited their effectiveness. A movement towards the community-based model is well underway on the global stage, and the World Bank, the United Nations Development Program (UNDP) and the Canadian International Development Agency (CIDA) have all highlighted major programs that support community-based development. Drawing upon Amartya Sen’s capability approach, which highlights knowledge and skill transfer as keys to empowering communities to lead their own development, these institutions have sought to support programs that offer CBOs training in various areas, including business management, leadership, communication and technical industry skills. 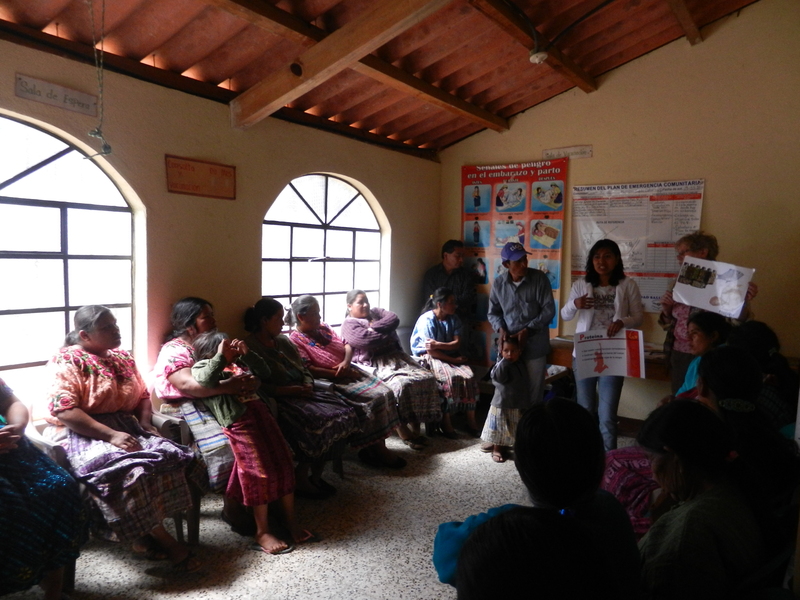 Two such programs are Oxlajuj B’atz’ and EntreMundos, medium-sized CBOs that are working to strengthen the local capacities and regional networks of smaller CBOs across the Guatemalan landscape. 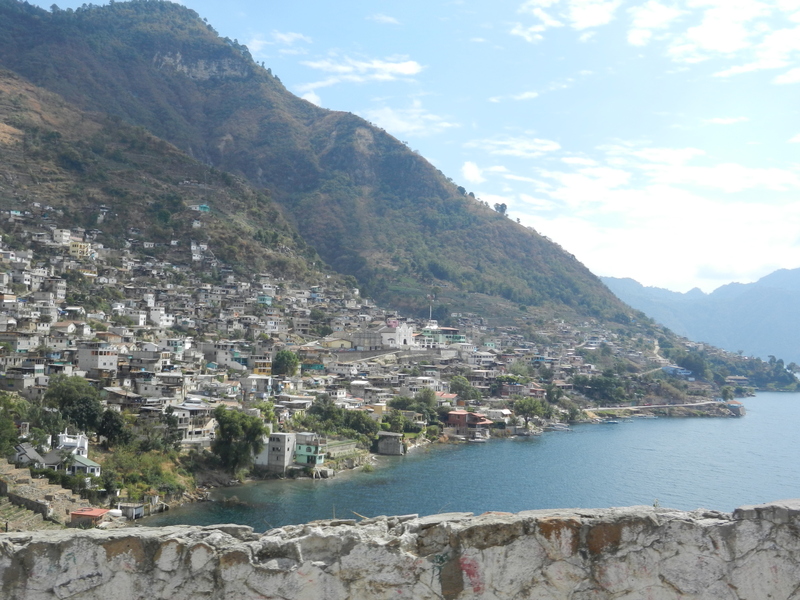 With an emphasis on small business development, Oxlajuj B’atz’ works closely with a group of 20 artisan cooperatives in the communities surrounding Lake Atitlán, in southwestern Guatemala. Services offered include networking support, vocational and professional skills workshops and point-of-sale provisions that help cooperatives sell their products in both local and international markets. Community participation is a focus of the organization and is ensured by the development of its Annual General Assembly Program, which offers leadership workshops to key cooperative members and integrates community agency into the fabric of the organization. Oxlajuj B’atz’ is committed to limiting aid dependency, and it encourages partners to regain operational independence as soon as they are comfortable with their cooperatives’ growth. 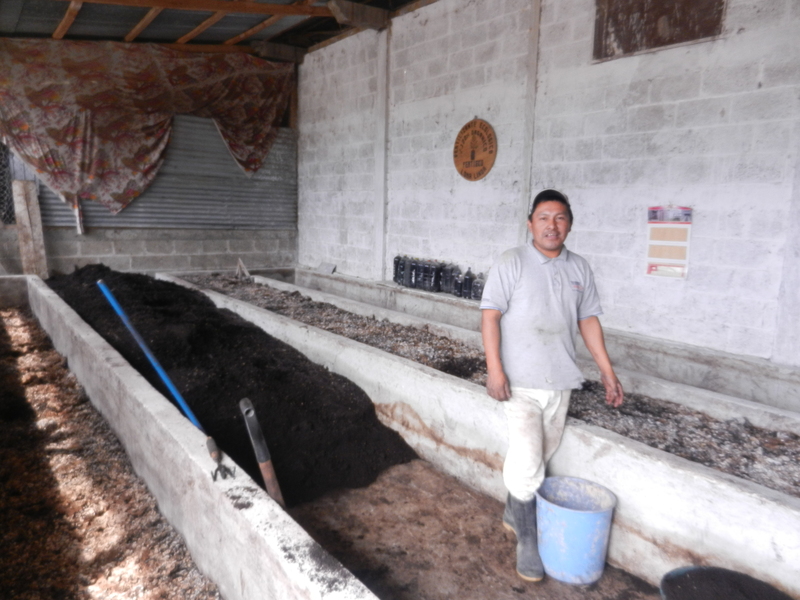 With provisions and values similar to those of Oxlajuj B’atz’, EntreMundos provides capacity training to a network of over 200 small and medium-sized CBOs in a wide region surrounding the city of Quetzaltenango, in Guatemala’s highlands. In addition to its publication, which covers local environmental and social issues, and its non-profit volunteer placement and support services, the organization offers general business-support workshops, with topics including program planning, management and evaluation, as well as IT skills and eco-tourism development. EntreMundos’ strengths lie not only in its ability to encourage the development of community organizations, but also in its dedication to creating a dynamic network to support communication and collaboration among local, regional and international development actors. Through program feedback structures, both Oxlajuj B’atz’ and EntreMundos are able to assess program effectiveness and work with communities to plan workshop schedules to effect maximum benefit and development sustainability. The results of these evaluations suggest that information transfers as a result of workshops are indeed fruitful. Yet financial and communication challenges persist as limiting factors to program effectiveness on the local scale. 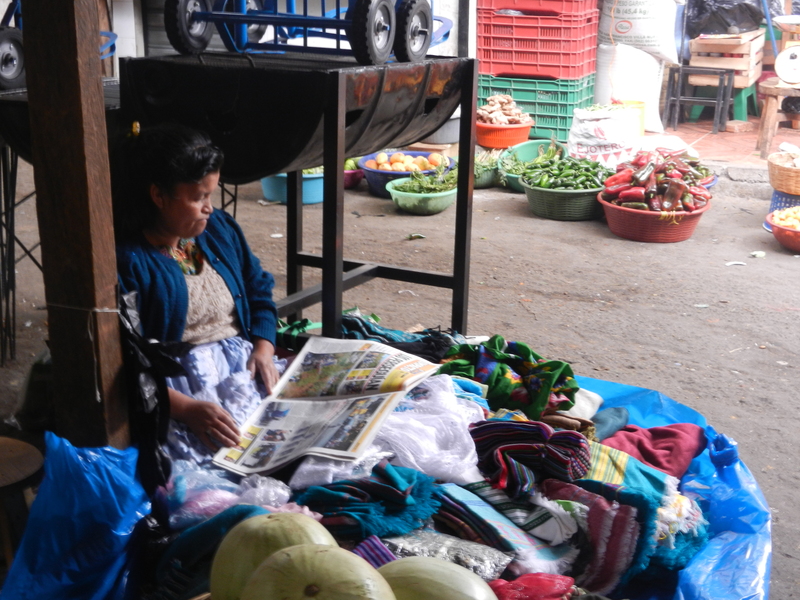 According to EntreMundos, financial stress felt by small CBOs is exacerbated by the high rates of poverty that pervade many of the small rural communities across Guatemala. During my time in Loma Linda with ASODILL, I personally learned of the long and exhausting days that community members experience as they struggle to survive in their isolated community. The men work from sunrise to sunset, scaling the steep slopes of the coffee cooperative to earn just enough money to feed their families. The women work even longer hours, waking up before their husbands to prepare breakfast and spending the rest of their days hand-washing mountains of soil-stained clothes, sorting through coffee beans, preparing meals, caring for children and carrying 30-50lb bundles of wood up the mountainside. In most cases, income from the coffee fields is insufficient to support laden families, and so all members of the household, children included, must dedicate every spare minute to additional small enterprises, such as sewing, baking, managing small general stores and cutting decorative pakaina leaves for export to the United States. 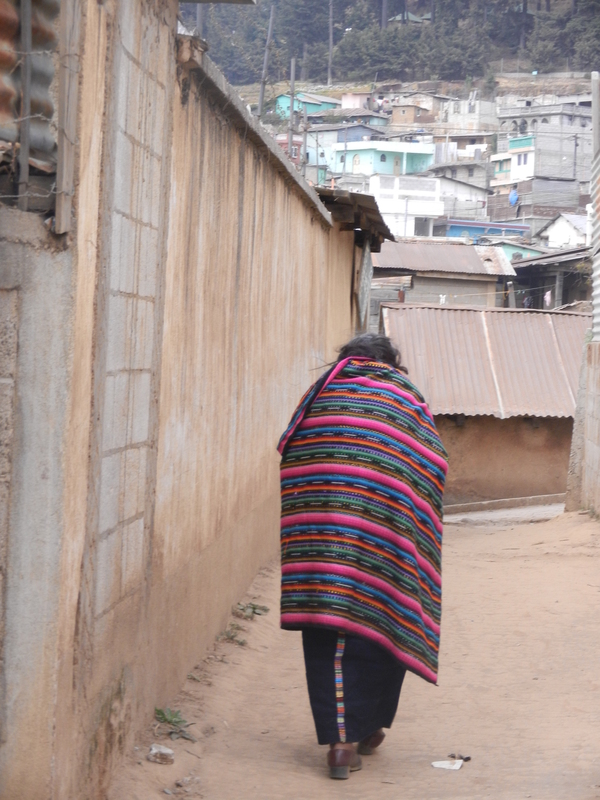 And while each community in Guatemala faces unique challenges and conditions, a 2006 study by the UN suggests that as many of 70.5% of the people living in rural Guatemala live on less than $1 a day, thus falling under the severe poverty line. Limited financial resources and long hard days of physical labor leave little time or money available to attend workshops or develop community programs. And local community initiatives that do become operational must either rely on external funding or struggle to maintain economic self-sufficiency through product sales to local community members with little disposable income. As a result, many of the initiatives maintained by ASODILL, including a thriving organic garden, innovative worm composting program and budding eco-tourism project, fail to gain the momentum necessary to develop into independent for-profit ventures that could provide employment and skill development and help retain educated youth, who often leave the community to find jobs in the city. Traveling from organizations in cities to those in rural villages, I continued to ask: “what do you need to improve the effectiveness of these programs and where do you want to go from here?” Along with the call for additional financial and human resources came an echo for improved tools for communication and networking with development agents on local, regional and international scales. However, in order to determine ways in which these financial and communication supports could be best applied, more information on the impacts and inefficiencies of CBOs must be compiled. Unfortunately, a report by the World Bank on the evaluation of small and medium-sized enterprises (SMEs) in Latin America and another by Jean-Louis Arcand and Léandre Bassole on the effectiveness of community-driven development exhibit a concerning lack of quantitative data regarding the performance of small business and community development programs. However, a 2003 study conducted on behalf of the World Bank’s Development Research Group highlights the ways in which qualitative studies can also help identify trends and challenges faced by CBOs, and in 2007, the OECD published a “Framework for the Evaluation of SME and Entrepreneurship Policies and Programs.” The application of the latter seemed to be pending among the communities and organizations I visited. As I made my way down the mountainside, away from Loma Linda, I watched the community members I had grown to know, working in the fields, carrying wood bundles up the steep slopes and leading children by the hand. I suddenly understood that it is the development of their families and friends that motivates the 23 members of ASODILL to meet, discuss and work together, that make them critical partners in sustainable community development. For the organizations that I came to know, and no doubt others, further exploration and program evaluations could illuminate areas for growth and support and empower communities like Loma Linda to tailor sustainable development to their own needs. With an undergraduate degree in Human Geography from Queen's University under her belt, Robin Lattimer aims to augment and animate curriculum by forming relationships with those NGOs and community members most affected by development efforts. As she travels through Latin America, she continues to compile a database of NGOs so that her experiences may offer a tool for collaboration among development agents.